In 1937, Martin J. Jaska began a legacy of superior construction for commercial, industrial and institutional clients in Pomona, California establishing himself as one of the predominant builders in the region. Today, the company bearing his name continues the success story by drawing from the strength of the past and applying the expertise to owners' complex facility requirements. We develop relationships with customers, going beyond specific projects, and fulfilling our clients needs is the number one priority at jaska building systems, inc.
Our most valuable assets are our clients. 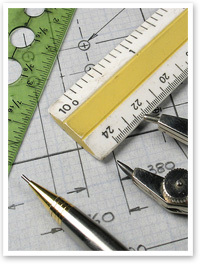 It is reasonable to expect our client projects to be accomplished on budget and on time. Our clients receive more than just construction from us. Develop ongoing, long-term, repeat client relationships. The most valuable resource is our staff and their ability to accomplish our mission. Jaska Building Systems will be the only contractor you call for your second building. In dealing with clients, employees and the community with the highest level of integrity. Our employees are professionals, that consistently strive for excellence in all facets of business and life. Providing a fair-minded organizational environment which fosters long-term employment. We encourage our employees to work as a team with common goals and values. We are an active and positive influence in our industry and community.